Note: This article only talks about the central air conditioner. If you are looking for a window AC or mini-split AC, you can read our Best Window Air Conditioners or Best Mini-split AC Guide. Each factor affects the price. When you read elsewhere that “the average central air conditioner costs $5,000 installed,” that information alone doesn’t tell you enough. For that cost, the unit could be a cheap, large and inefficient AC suitable for a large home in the North, or it could be a medium-sized, high-efficiency and high-quality model suitable for small homes in hot climates. What Efficiency (SEER) is Right for You? Let’s consider those 4 important keys to central air conditioner cost. This input will allow you to determine the ac unit that is right for your home. Budget brands – (lowest cost, 12 to 16-year durability): Examples are Payne, Aire-Flo, Airtemp, Goodman and Ameristar. Many sister brands make air conditioners that are identical except for the name. These air conditioner lists from Heil and Tempstar demonstrate the point. Interestingly, all the brands in that group are owned by United Technology Corporation, the parent company of Carrier and Bryant in the premium category. This shows that UTC is seeking to capture consumers in various segments of the market. Lennox does the same thing with its Ducane and Aire-Flo brands. Basic performance: These are single-stage central air conditioners with a SEER efficiency rating of 13-15. They are loud and might produce temperature fluctuations or cold spots in your home. All brands make “Basic” ACs. Better performance: These are two-stage central air conditioners with SEER ratings of 16-19. They run on low, which is about 65 percent capacity, most of the time, so are quieter than single-stage units and cool more evenly. They’re more effective at dehumidifying your home too. Most brands make “Better” performance air conditioners. Best performance: These are variable-capacity central air conditioners, called modulating or variable-speed by some brands. These units have compressors that modulate by very small degrees between 25 percent and 100 percent capacity with the result that the units are the quietest, most efficient, best at removing humidity and produce the most balanced temperatures. Variable-capacity ACs have SEER ratings as high as 24. These “Best” units are made by Standard and Premium brands. The term SEER stands Seasonal Energy Efficiency Rating. Like gas mileage ratings, SEER is a rating of how many Btu’s of cooling the unit can produce for the electricity it uses. The higher the SEER, the more efficient the unit is. Choosing the right efficiency rating for your purposes is discussed below. Each residential AC model is produced in a range of sizes. Some start at 18,000 Btu while others start at 24,000 Btu. This is a measurement of the amount of heat per hour the units remove from your home. Most central air conditioner models increase incrementally by 6,000 to 12,000 Btu. The largest residential units are 60,000 Btu. Within the industry, sizes are also spoken of in “tons”, a term that dates to using tons of ice to cool buildings. One ton of air conditioning capacity is equivalent to 12,000 Btu’s of cooling. These prices are for the outdoor unit only, called the condensing unit. For complete installation costs including additional equipment required and labor costs, see section Installation Costs and Extras. The above AC Unit prices are for just the outside unit, commonly called the air conditioner and technically known as the condensing unit. Other costs including installation are discussed in detail below. Most central air conditioners are sold by local HVAC contractors in a package that includes installation. However, you can find some air conditioners in the Basic and Better grades for sale by local and online wholesale dealers. Installers of central air conditioners must have a refrigerant license, so DIY installation is not an option for most homeowners. System Only includes the outdoor condenser and indoor evaporator coils (without the air handler and furnace). System Installed includes the system and installation (not include installing brand new ductwork). Before installing or replacing your air conditioner, an HVAC contractor needs to size your system by “Manual J” calculation. This will take into accounts factors like where you live, insulation situation, windows types and direction and etc. Then you will get a right-sized air conditioner ranging from 1.5-ton to 5-ton. The above price is the average price of 20 common brands above. The air conditioner efficiency baseline is 16 SEER. How much does it cost to install a central air conditioner? Here are the basic AC installation price and the cost of extras. Brand New Ductwork: If your house has never been installed with an HVAC system before, you need to pay extra money for it. Condensing unit pad: Most installers won’t put a condensing unit directly on the ground, so a pre-fab pad can be used or a concrete slab can be poured. Refrigerant lineset: There are two lines. One carries refrigerant from the coil in the condensing unit to the indoor coil; the second returns the refrigerant to the outdoor coil. Linesets from 20 to 50 feet are produced; length affects cost. Evaporator coil: This indoor coil can be a cased coil that installs on top of your furnace or an uncased coil that installs in the furnace cabinet. The indoor coil, known as the expansion coil, collects heat from the air circulating over the coil. The heat transfers into the refrigerant, and it is carried to the outdoor coil where it is released. As heat is removed from the air, the indoor coil gets cold enough to condense moisture. Drier air in summer is more comfortable. The condensed moisture is collected in a drain pan. The evaporator coil must be sized to the capacity of the central air conditioning system. Thermostat: If your new central air conditioner or complete HVAC system has features the old one didn’t, you’ll probably need to replace your thermostat. You might want to do this anyway if you currently don’t have a programmable or Wi-Fi thermostat that allows you to monitor and control your heating and cooling using your smartphone and an app. You can read our detailed thermostat reviews and buying guide for more information. Do I Need HVAC UV Lights? Getting the right size ac unit is essential to your indoor comfort and to the durability of the system. An AC unit that is too small will work too hard and might not cool the space effectively. This will also lead to premature mechanical failure. A unit too large will over-cool your home, creating temperature swings. The unit might also short-cycle, a malfunction that can destroy an AC compressor in the condensing unit. Before having a Manual-J calculation made, you can get a pretty accurate estimate of the size unit you’ll need with the following information. First, find your location on this US Climate Zone map below. The range in sizes is the result of factors related to your home’s construction. In short, homes with more insulation, energy-efficient windows and doors and light-colored roofing need fewer Btu’s of cooling. How efficient should your central AC be? If eco-friendly heating and cooling is the highest priority, then buy the most efficient system you can afford. Since the most efficient ACs are also the best performers, the answer is the same if superior indoor climate control and comfort is your goal. The above SEERs are roughly estimated. We also developed a SEER Savings Calculator to help find a better balance between equipment cost and electricity cost. There are a few more factors to consider. Moist air is harder to cool, so if high humidity is common in your area, then getting a more efficient AC Units will reduce energy costs and make your home more comfortable. The longer you intend to live in your current home, the more cost-effective a very efficient central air conditioner will be because its higher cost will be recouped when spread over more years. If you plan to sell soon, you won’t get the long-term energy cost savings of an efficient air conditioner. 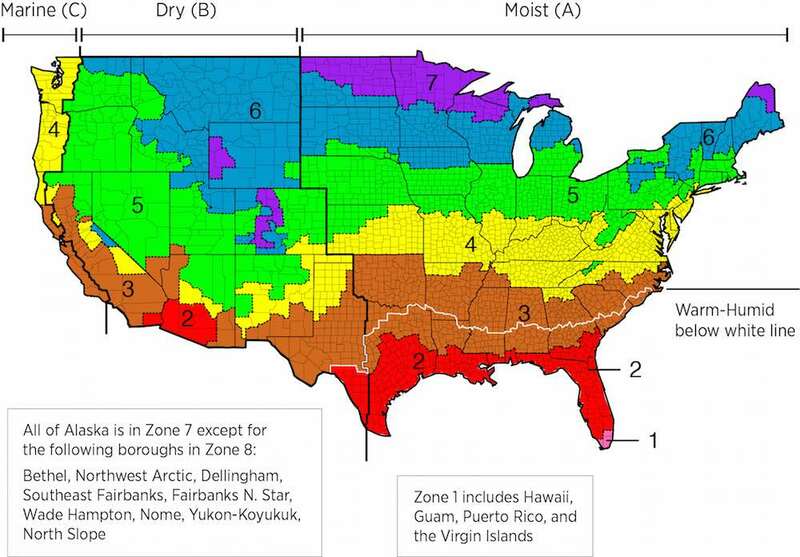 However, keep in mind that some potential buyers will want to know how efficient your AC is, especially in warm and/or humid parts of the country. Note: Before you dive into brands/companies reviews, we strongly recommend you spend 70% of your research time on finding a qualified contractor. HVAC system is not a traditional appliance and most brands are reliable. Amana VS Goodman AC Units: Is There Any Difference Between Them? Actually, 80% of repair problems are caused by bad installation instead of bad brands or units. Checking a contractor’s background is essential to ensure skill, experience, good reputation and certification. I had this unit installed after the old unit was hit by lightning. I am not sure if I paid too much or that was just about the right price. So far, the system has not had any issues. It runs efficiently and keeps the down cooled down, just the way I like it. What I liked about it most is how energy efficient. The contractor who did the installation job told me it could reach a 21-seer efficiency under the right conditions. I decided to take the system with a five-year warranty. This is especially great if one is not planning to stay in an area for long. Although, there is an option for a decade-long warranty I do not plan to stay that long. The system has so far provided reliable service in the two years since installation, something which is of great benefit to me. The price I paid was inclusive of installation fees for the new duct system in the home. This was after the contractor informed me the old system was just too inefficient. In addition, the price was inclusive of all the necessary permits. After the three years, with regular checkups, the system is still working fine. I got this unit installed recently. I am not sure but I think I paid a fair price, based on what others have paid. The contractor included a ten-warranty for parts and labor as part of the deal. In addition, he offered a brand new outdoors foundation and a thermostat that is programmable. I am satisfied with Ameristar so far. The entire installation process took the contract two days. In addition, some of the ducts need replacing. We also included some UV lights as part of the package. So far, the air conditioner has continued to run smoothly even after two years of service. Honestly, I cannot believe how much everyone else is paying for a central AC. We make good money but we would never pay for what some people are being charged. I believe some people here did pay too much. Airtemp is not a famous brand but did a good job for me. Our nineteen-year-old Carrier could not take the heat last week. It finally broke down and we had the entire unit replaced with a 3 ton Trane. The entire process took the two workers about half a day. Central Air conditioning systems do not last very long here in Galveston. The salt air tends to corrode the units very fast. As a result, our last unit only lasted seven years. In fact, we were quite impressed by how long our last Goodman lasted. We decided to install this new four-ton unit. So far, it has been performing as expected without any issues. I have had the Rheem air conditioner running for two years now. I feel very happy with my purchase. When my Carrier’s compressor burnt up only after five years of use. I decided to do some research and I think it really paid off. This new system has a higher seer rating; better warranty terms and is quieter. Anyone seeking to replace his or her Central Air Conditioner should as much time to gather as much information. The potential savings made are totally worth the trouble. In Tennessee, the weather is hot with a lot of humidity. Thus, the unit runs almost nonstop from the months of May to October. As an AC tech myself, this unit is undoubtedly top notch. When seeking to have a new system, a good contractor is crucial to a quality installation. Take time to read through customer reviews of installation companies. This is after you have chosen a unit that is best suited to your home. In order to ensure a compressor lasts longer, make sure the filter drier is welded securely into the liquid line. In addition, pre-existing copper lines should be flushed. Be careful of quick talking technicians, who never seem to provide straight answers. Are you in the market for a complete HVAC system? See our Heating and AC Unit Combo Prices Guide or Gas Furnace Cost Guide for complete information on heating. Very informative and useful article. Thanks for posting! Thanks and we will update this page frequently and make it better. Please keep the updates coming. Very informative and useful!!! I am trying to decide if a mini split or central unit best suits our needs and budget. I have a cabin still under construction in Alabama that is approx 1000 sf. We will only be spending a few months per year presently. Hot and very humid in summer and winters are mostly mild. Suggestions? Let me know if you have any problem after reading this guide. Glad you like it and feel free to share it with your friends. This is an excellent article methodically presented and with lots of information _ a good guide to go by. This is exactly What I was needing because some of these guys are ripping me off. Thank you for the article. Very informative! Thank you so much for all the valuable information. I am so glad I found all the needed information on one single page. I had a company coming out to give an estimate and they started – “let’s see how much you qualify for” and “do you want an efficient system”? that without even looking around, explaining. Now I know what to ask and what to look for. I will post your site on our Nextdoor page too, so people get educated. Nowadays, unscrupulous companies are mushrooming.